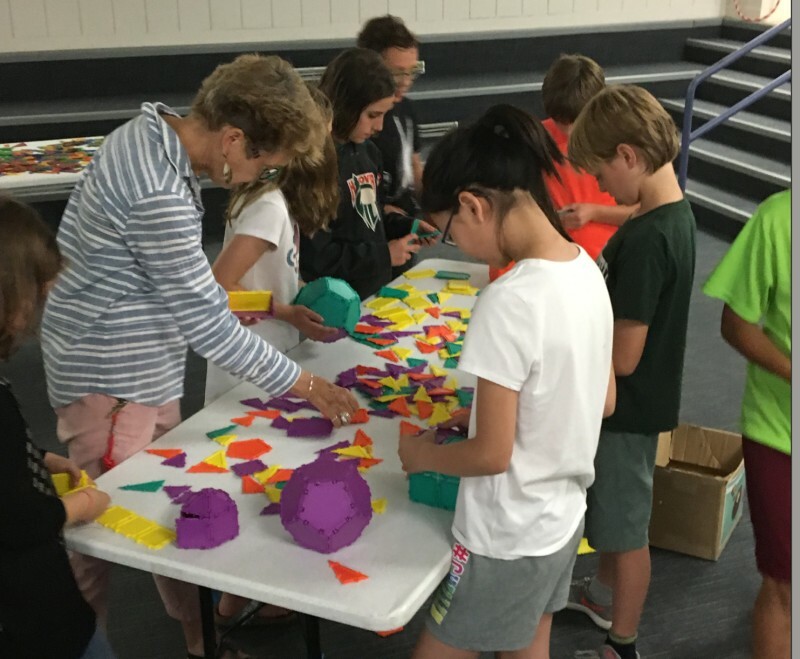 I organize geometry exhibitions and events at nearby schools. 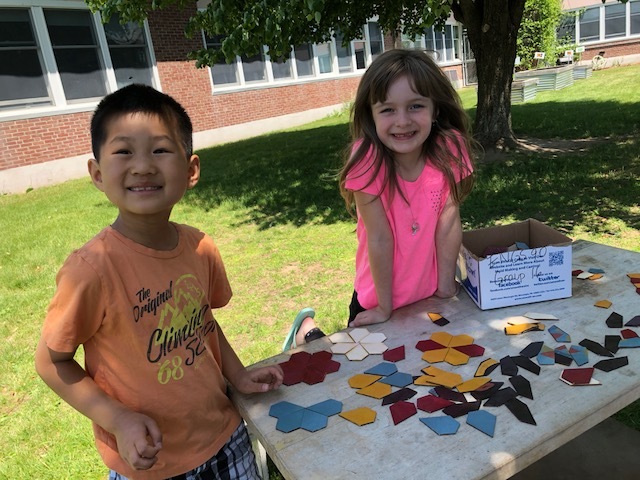 During these events students engage in activities using geometric shapes and tiles. 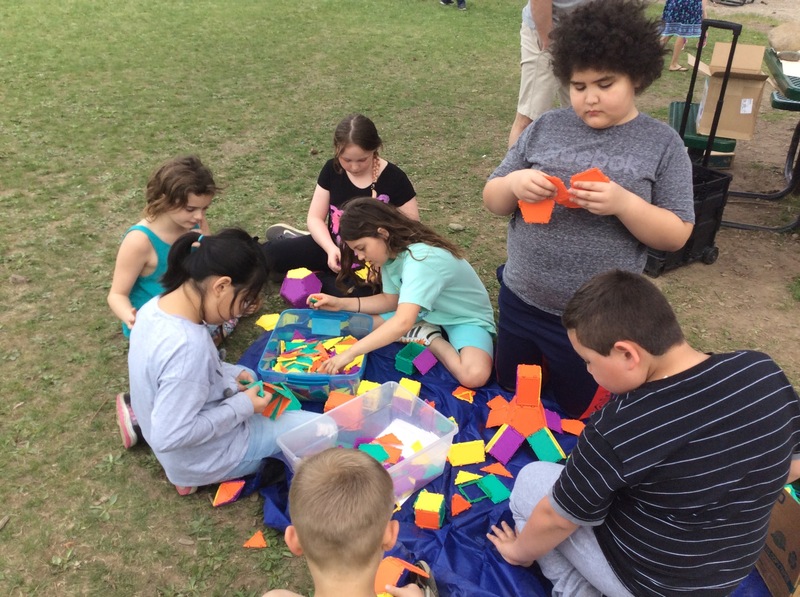 The aim is to let students enjoy and explore geometry in an open and encouraging setting. 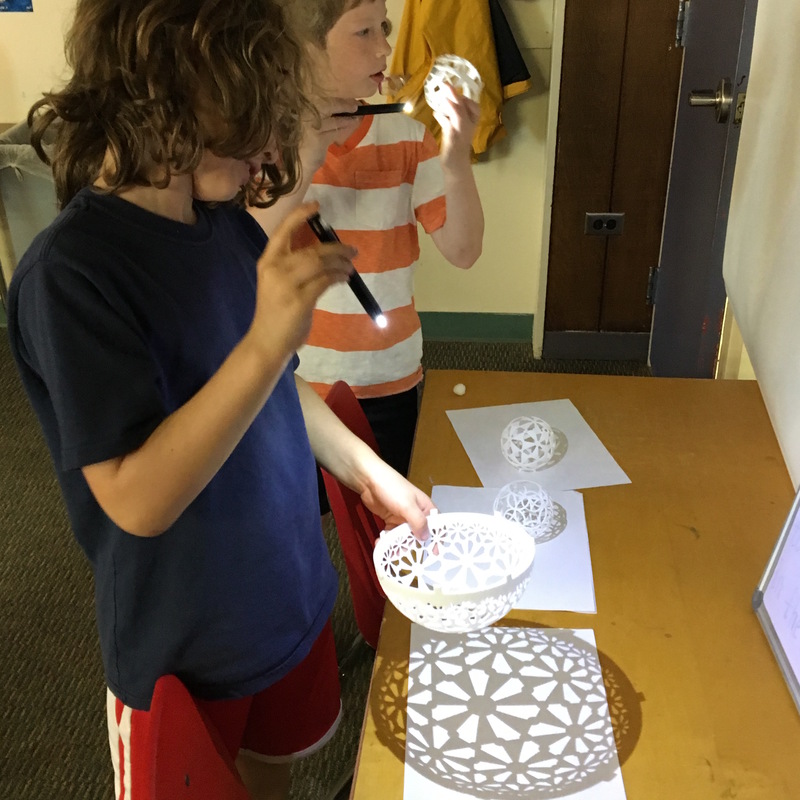 Students learn about geometric shapes, like the platonic solids, projections and tessellations. Acknowledgments: A special thanks goes to the undergraduate students Alice Hsu, Qirong Li and Jacob Swenberg who helped to organize the exhibition in May and June 2018. 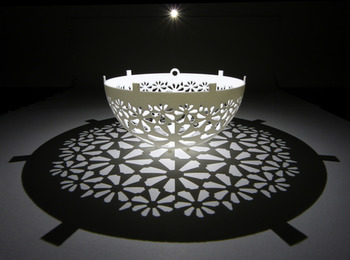 The 3D prints from Henry Segerman allow to explore a variety of topics, like symmetries, projections, tilings and curvature. 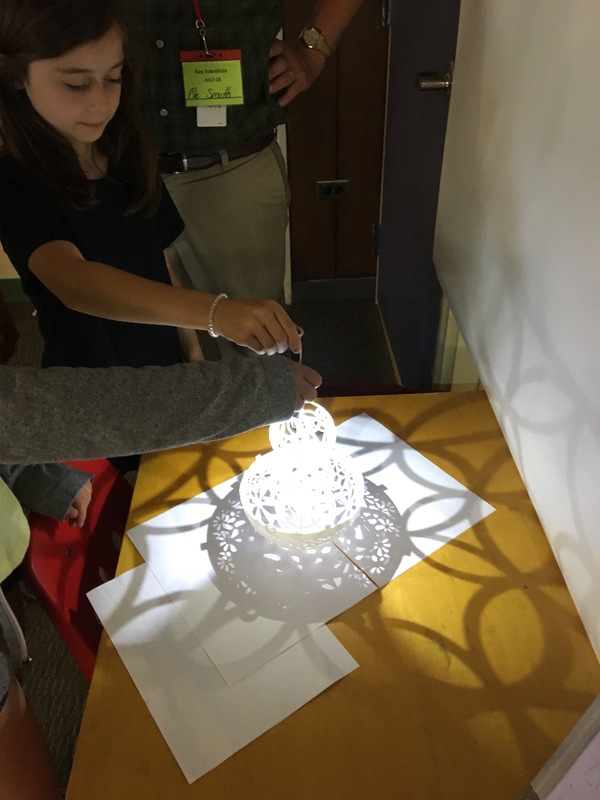 With LED lamps students can explore the fascinating shadows many of the shapes cast. 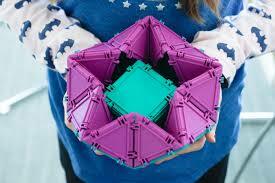 They can also stack them together to make more complicated shapes. The sphere and the tractrix model of the hyperbolic plane illustrate hands-on properties of spaces of constant curvature plus and minus one. 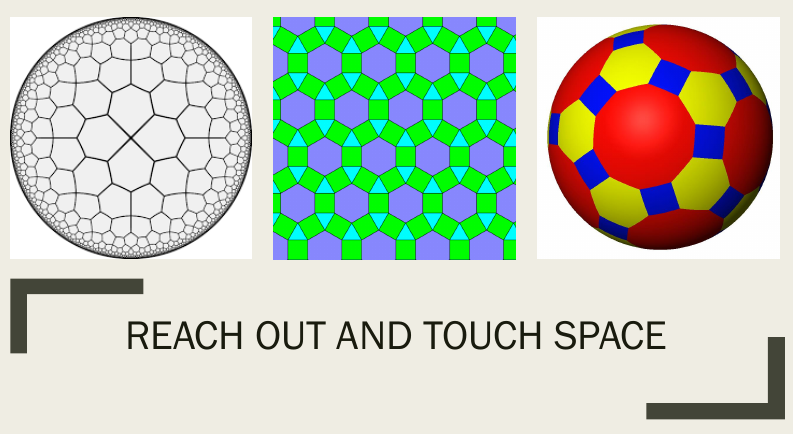 This way students can discover and learn more about the three standard geometries, spherical, flat and hyperbolic. All files to print the 3D models can be downloaded here. A regular polygon is a polygon, where each side has the same length and the angle is the same at every vertex. 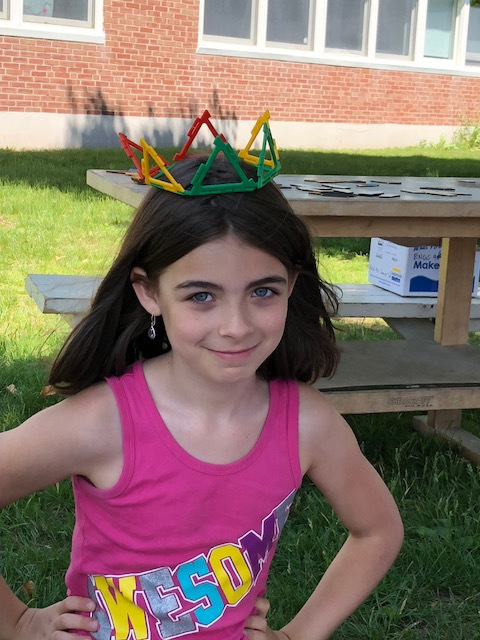 Among these polygons only the equilateral triangle, the square and the regular hexagon tile the plane. However, if we relax the condition and also allow irregular polygons, a large variety of polygons tile the plane. A very interesting case are the pentagons. 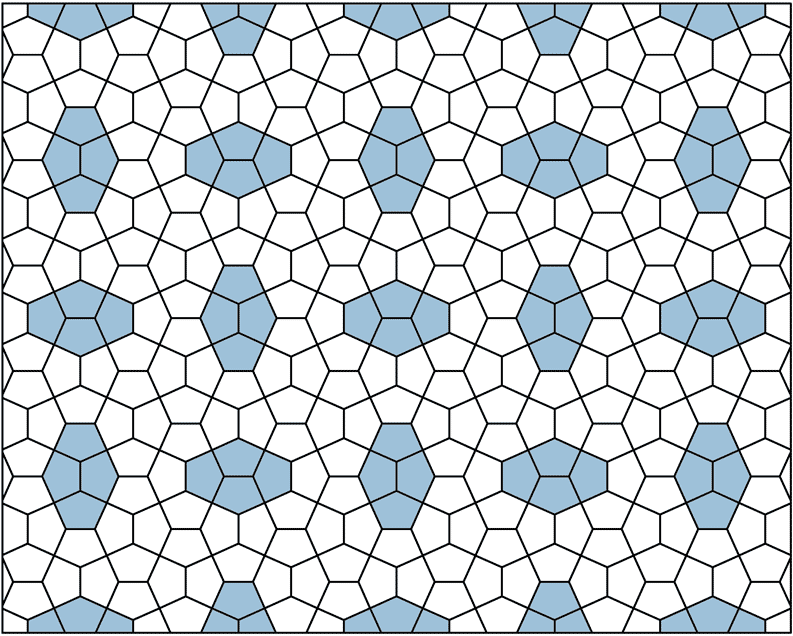 15 families of convex pentagons are known to tile the plane with one type of tile. 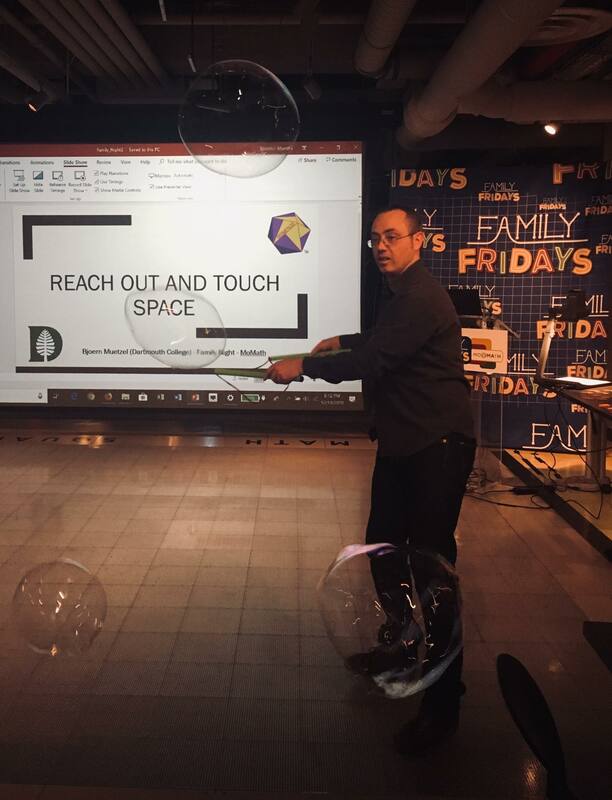 This list has been shown to be complete by Michaël Rao in 2017. In the collection are the type 4, type 5 and the complicated type 15 pentagons. 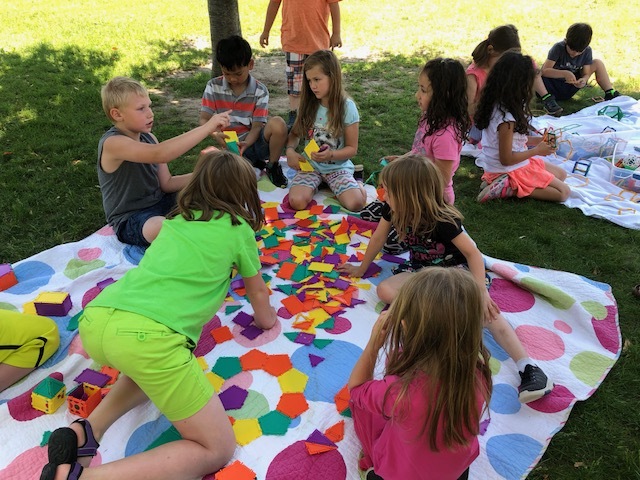 Given the pieces, the students can try to figure out the tiling or puzzle pieces together to form new shapes. The geometiles are a collection of polygons that can be clipped together at the edges. This way the geometiles are like geometric lego. 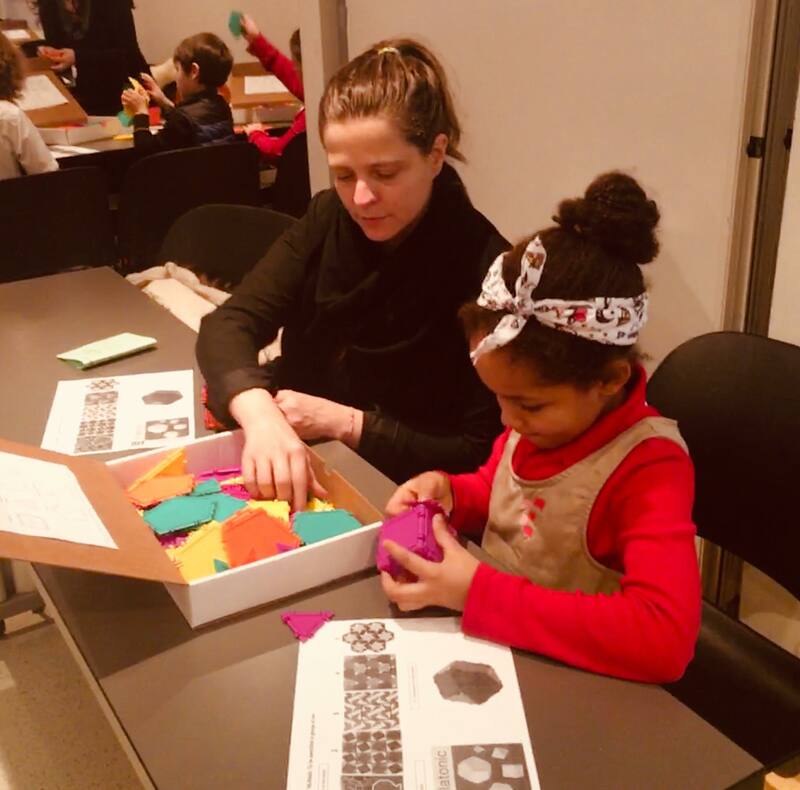 A large number of 2D and 3D shapes, like the Platonic solids can be put together with the tiles. 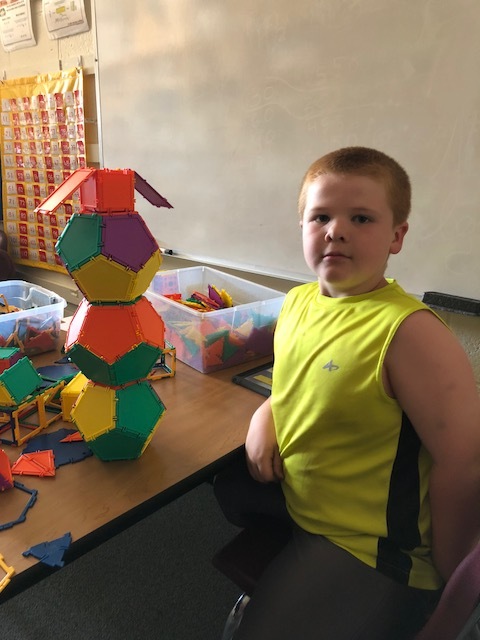 This way students can see how shapes work together in 3D right before their eyes and learn about area, volume and angles. 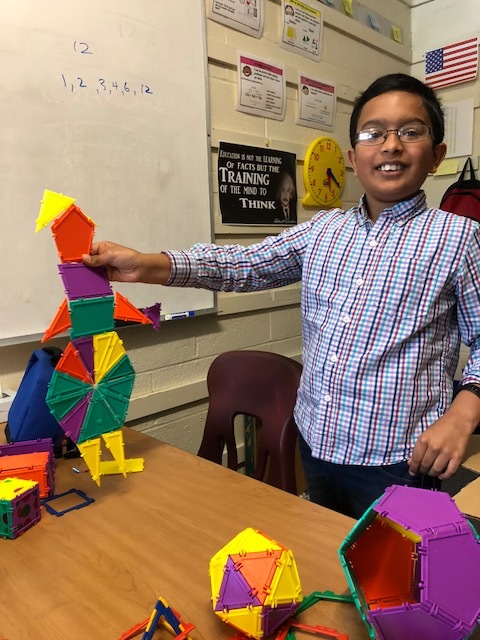 The geometiles come with booklets that contain a variety of challenges and enable students to explore geometry in an open and fun setting. The exhibition is currently at the Lyme school and the Marion Cross school in Norwich. Undergraduate and graduate students are welcome to help with the organization or visit schools.